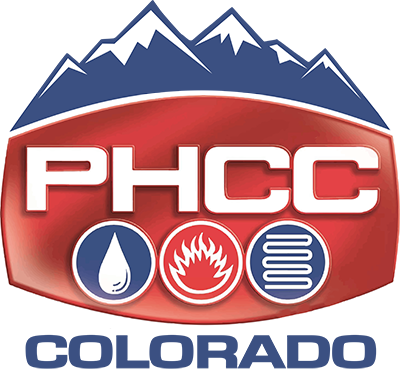 Thanks to PHCC Corporate Partner Federated Insurance, members of the Plumbing-Heating-Cooling Contractors—National Association (PHCC) now have access to customizable tools to start building a company safety program. The “Management Commitment and Employee Involvement” safety resources – accessible at www.phccweb.org/CompanySafetyProgram – offer guidelines, training, checklists, logs and other valuable resources related to hazard prevention and control, safety and health planning, and other construction-specific safety topics (such as eye protection, electrical and tool safety, material handling, etc.). In addition, a section on workplace analysis offers employers forms and reports on construction site inspections, vehicle accident reporting, risk tolerance and more...click here to keep reading. The 2018 National HVAC and Plumbing Apprentice Contests are open to high-performing 3rd to 5th year apprentices who are state competition winners or top performers in their local programs. A well-rounded hands-on competition, the HVAC event tests apprentices’ skills in brazing, refrigerant recovery, taking readings and performing calculations, electrical and mechanical troubleshooting, and basic wiring. Plumbing contestants are required to install a basic three-piece bathroom (water closet, lavatory, and shower); install water and DWV lines; determine rough-in locations; establish grade lines for installing plumbing; install vents and cleanouts; secure horizontal and vertical pipe lines to wood and metal surfaces; and install fixtures and faucets. If you have an apprentice who has the skills for success, why not send him or her to compete at the national level? Show that your business hires the best! Email [email protected] for a contest application. The distracted driving epidemic continues to wreak havoc on our nation’s highways. In 2016, the National Highway Traffic Safety Administration reported more than 2,000,000 injuries. Worse yet, they counted 37,461 deaths related to motor vehicle traffic crashes on U.S. roadways. The death toll is rising 5 – 8 percent annually and there is no end in sight. This free event will provide exposure to Lincoln Tech's graduates and students, fellow employers, and the opportunity to network and promote recruiting opportunities. If your company has positions available, either currently or in the future, please bring applications or information on how to apply. You will have the opportunity to meet students and graduates looking for work and interview them at the Lincoln Tech campus. Attending the PAC meeting? (No, Yes) If yes, please indicate how many. Are you bring a vehicle or display that requires additional space? If yes, how many?